Sold and priced per meter. Run up to 5m in a single powered length. Important: This is a digital addressable product that can only be used with a compatible digital controller. This neon flex is made with individually addressable 'pixels' of sets of 3 LEDs, meaning it can be made to make some interesting jumping patterns of different coloured light all along it length. It can also be made to have a chasing effect up and down, from the centre out, or from outside to the centre etc. This makes for great party lighting and is fun to see going along in time to music! LED neon flex emits a constant glow, simulating the effect of a neon tube but with the advantages of LED including long life and low power consumption. It is ideal for feature lighting in both home and commercial applications and is also great for signs. This neon flex is constructed with an internal flexible circuit running 60 bright 5050 SMD LEDs per meter. The light is diffused by a series of internal diffusing membranes, so the neon flex gives a consistent glow along the entire length. It can be powered from a 12V DC supply (see our 12V power supply range here), and consumes 14.4W/1.2A per meter. Purchase the exact length you require, or buy more and trim as required. The neon flex can be cut at 5cm intervals. It bends very well sideways, but not up and down. LED neon flex is 50% brighter than incandescent lighting, and is a 100% solid state design meaning there is no glass or filaments that could break! 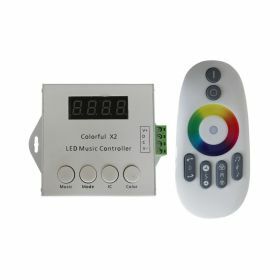 You can power up to 5m in a single length, however the signal can be carried through to following lengths that are powered separately, up to a total length of ICs that the controller you are using can support - our music controller can support 1000 ICs, which equates to a total supportable length of 50m! 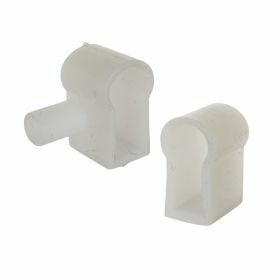 If you are cutting or trimming the digital neon flex, purchase a pair of end caps to re-seal the ends.